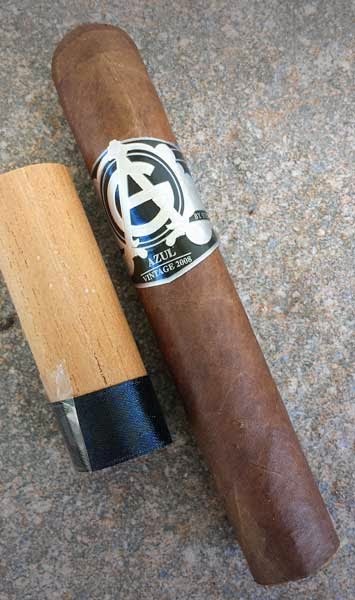 This AG Azul Vintage 2008 Trajabador by Epicurean Cigars has fantastic overall construction. The oily Colorado colored wrapper is seamless and shows only very fine veins. It's packed well full length and its finished with a triple cap. From the foot there's a sweet tea aroma while the free cold draw has brown sugar notes. 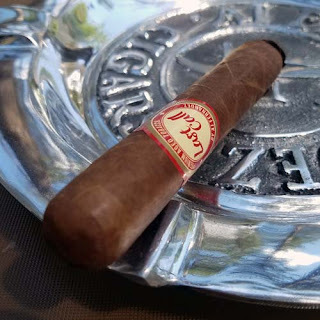 Before the cigar was fully lit I could taste bold chocolate mixed with toast. As it burned on there were other notes of brown sugar, chai tea, a hint of ripe fruit, cream, coffee, leather and oak with a full bodied finish of toast, nuts and sweet cream. This was a fantastic cigar! The oil started building on the wrapper when the lighter first hit the foot, the flavor mix was superb, the burn was razor sharp and the burn time was 60 minutes. I would like to thank House of Emilio for providing this sample for review.